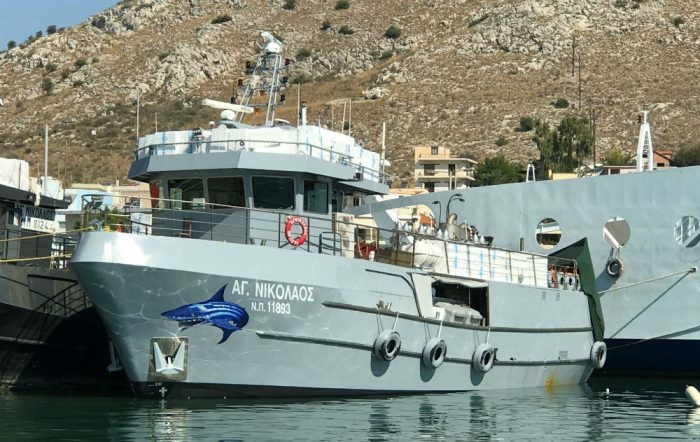 She is a 27m Fishing Vessel (purse seiner) custom built in Kourakos Shipyards, Perama. Delivered mid 2018 to a repeat customer and replaced another purse seiner of the same Owners. Aegean Electronics completed engineering, installation and commissioning of full navigation, communication and fishery electronic systems.